Most people engaged in culture favour impact studies, which measure the economic benefits produced by artistic projects. On that basis, many art expenditures seem to be economically beneficial. In contrast, art economists focus on measuring the social values produced. 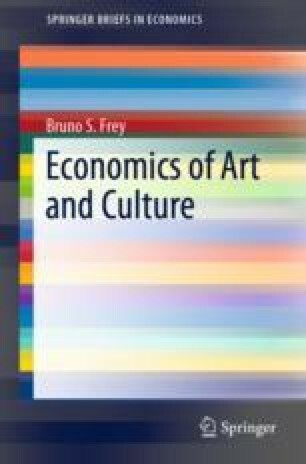 They include the external effects of artistic activities not taken into account by the market: existence, option, bequest, prestige, and education values. The two approaches consider different aspects of cultural management, and both must be taken into account.